Dr. Matthew D'Souza is a Lecturer with the School of ITEE, The University of Queensland. Dr. Matthew D’Souza has worked as a Postdoctoral Research Fellow and Visiting Research Scientist with the CSIRO Autonomous Systems Laboratory and the Australian E-Health Research Centre in Brisbane, Australia. 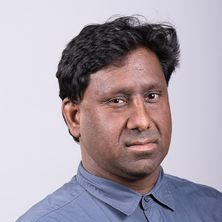 His research interests include Pervasive and Ubiquitous Computing, Wireless Communications, Wireless Sensor Networks, Embedded Systems, Biomedical Engineering, Mobile Computing and Cyber Physical Systems. Postula, A., D'Souza, M. and Ros, M. (2007). Intuitive community digital assistant user interfaces based on wireless devices. In: Docherty, M., Kenderdine, S. and Wyeld, T., Proceedings of the 13th International Conference on Virtual Systems and Multimedia (VSMM 2007). 13th International Conference on Virtual Systems and Multimedia (VSMM 2007), Brisbane, Australia, (259-265). 23-26 September, 2007. Ros, M., D'Souza, M. and Postula, A. (2007). Intuitive interaction for home ICT environments using RFID and bluetooth wireless technology. In: Mohammad S. Obaidat, Victor Peral Lecha and Rafael F. S. Caldeirinha, WINSYS 2007: Proceedings of the International Conference on Wireless Information Networks and Systems. International Conference on Wireless Information Networks and Systems (WINSYS 2007), Barcelona, Spain, (205-210). 28-31 July 2007. D'Souza, M., Postula, A. and Ros, M. (2007). Wireless position location system for indoor environments Obaidat, , Caldeirinha. In: Mohammad S. Obaidat, Victor Peral Lecha and Rafael F. S. Caldeirinha, WINSYS 2007: Proceedings of the International Conference on Wireless Information Networks and Systems. International Conference on Wireless Information Networks and Systems (WINSYS 2007), Barcelona, Spain, (109-116). 28-31 July 2007.